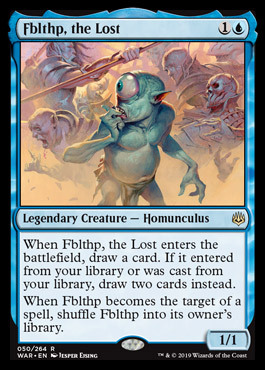 Ability Text: When Fblthp, the Lost enters the battlefield, draw a card. If it entered from your library or was cast from you library, draw two cards instead. When Fblthp becomes the target of a spell, shuffle Fblthp into its owner's library.